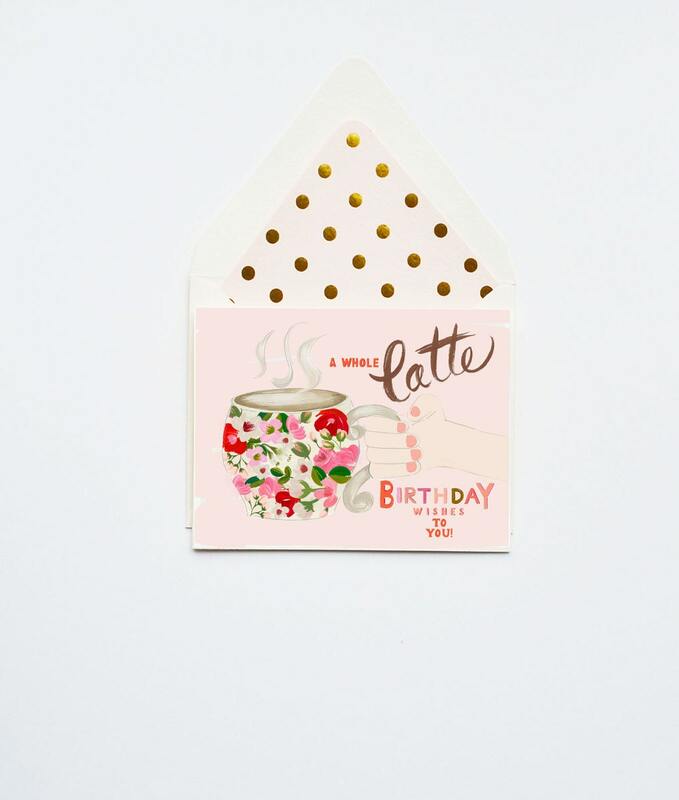 A whole Latte Birthday wishes to You! A cute little pun b-day card. Pretty floral latte cup to brighten your friend's day! Blush background with reds, oranges and peach.